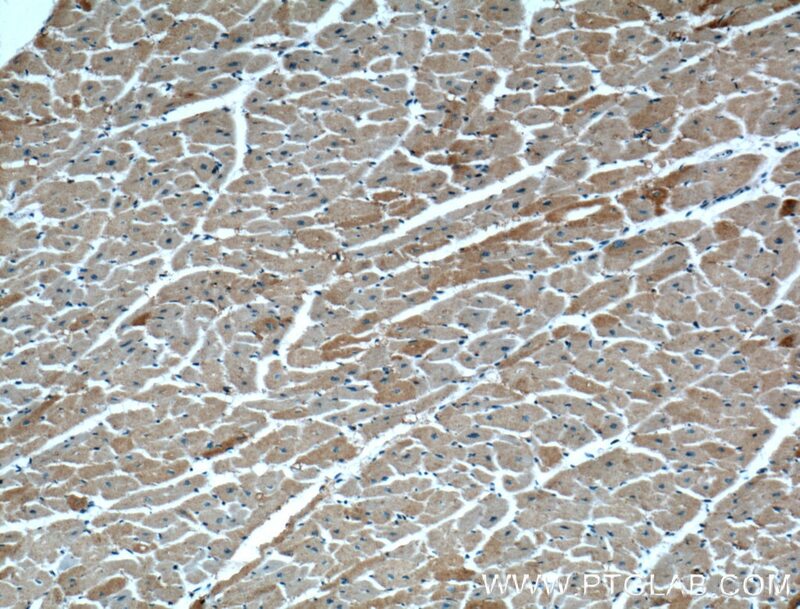 Immunohistochemical analysis of paraffin-embedded human heart tissue slide using 10347-1-AP( RAB4A Antibody) at dilution of 1:200 (under 10x lens). The human RAB genes share structural and biochemical properties with the Ras gene superfamily, and RAB4 (synonym: RAB4A) is a small GTPase belonging to this Ras superfamily. Accumulating data suggests an important role for RAB proteins either in endocytosis or in biosynthetic protein transport. 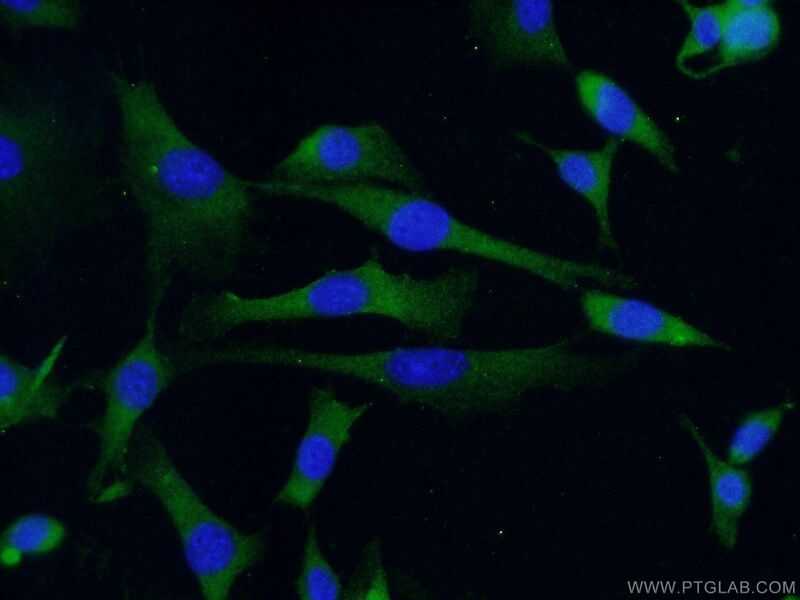 The transport of newly synthesized proteins from endoplasmic reticulum to the Golgi complex and to secretory vesicles involves the movement of carrier vesicles, a process that appears to involve RAB protein function. RAB4 may also function as regulator along the receptor recycling pathway. 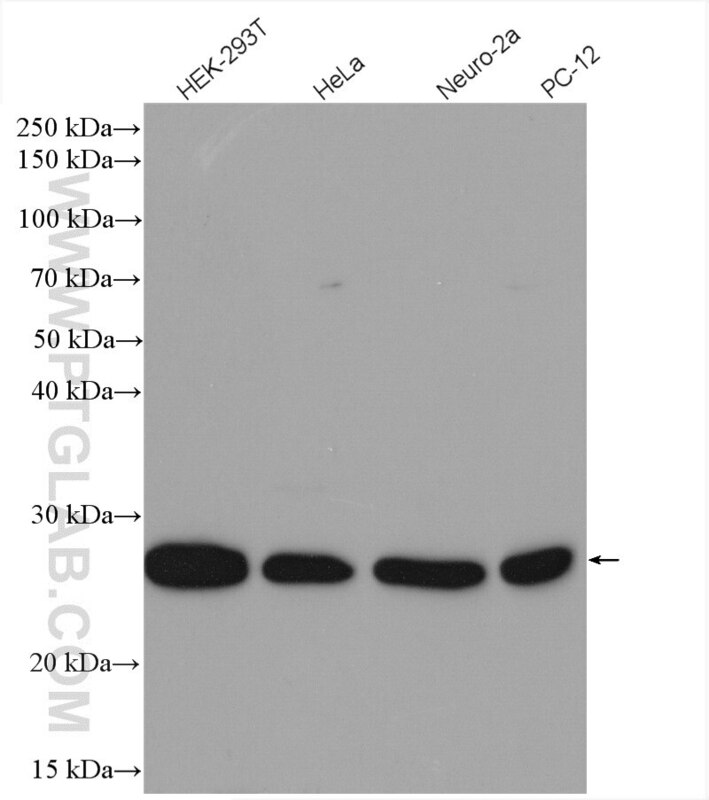 Characterization of intracellular dynamics of inoculated PrP-res and newly generated PrP(Sc) during early stage prion infection in Neuro2a cells. Yersinia pestisTargets the Host Endosome Recycling Pathway during the Biogenesis of theYersinia-Containing Vacuole To Avoid Killing by Macrophages. Accumulation of EBI3 induced by virulent Mycobacterium tuberculosis inhibits apoptosis in murine macrophages. 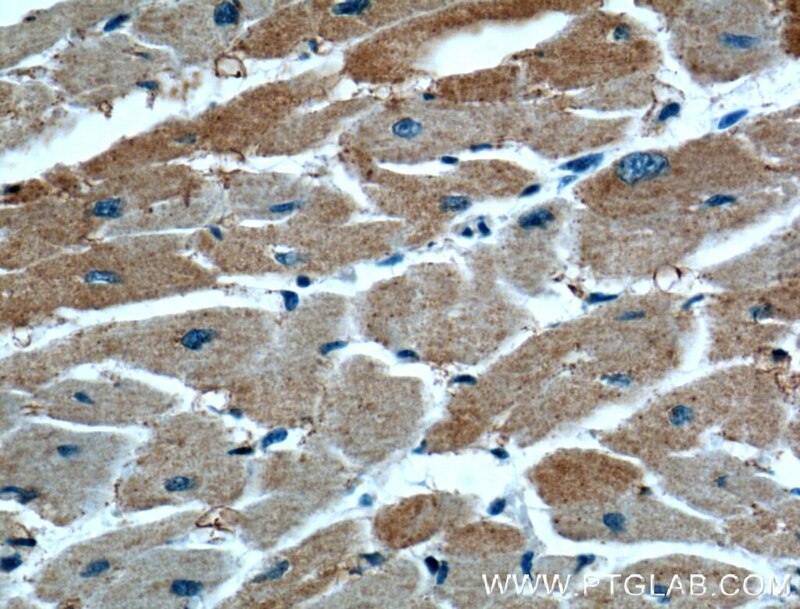 Immunohistochemical analysis of paraffin-embedded human heart tissue slide using 10347-1-AP( RAB4A Antibody) at dilution of 1:200 (under 40x lens).